Della Marie Alosi, 75, passed away on Sunday, Nov. 11, 2018 in Reno, Nevada surrounded by her husband and family after a long brave struggle with cancer. She was born in Susanville California, to Delbert and Vera Hewett on Dec. 19, 1942. In her early childhood the family moved to Ravendale, California where they ran a local bar and restaurant. This is where she and her older brother, Russell Hewett, went to the one-room grade school. Upon entering Della’s high school years, the family returned to Susanville where she graduated from Lassen High School in 1960. In December 1967 she married Anthony Nick Alosi Sr., and this December they would have celebrated 52 wonderful years together. Della’s favorite pastime was spending time with her family at their second home in Eagle Lake, California. She also had a passion for crafting, crocheting and watching the 49ers, Super-cross, Motocross and most of all NASCAR, with a glass of wine. 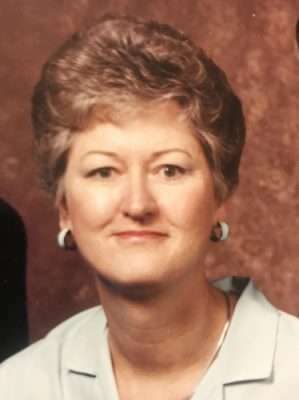 For 40 diligent years, Della worked for her good friend Carol Jean Curry and as everyone knew, took great pride in being the office manager and bookkeeper. Della was a long-time member and treasurer of the Lassen Motorcycle Club, where she spent many April mornings meeting and signing up all the event participants at the annual event in Fort Sage and Dry Valley OHV areas. As a Lassen HS Alumni, she also helped plan many of the annual reunions. She is survived by her husband, Anthony Alosi, of Susanville, California; brother, Russell Hewett, of Susanville, California; sons Keith Alosi, of Spring Creek, Nevada; and Nick Alosi, of Reno, Nevada; three grandchildren, Nichole, Jason, and Isabella; and two great- grandchildren Makenna and Hunter, all of Reno, Nevada. Private services will be held at the Janesville Cemetery followed by a Celebration of Life. Details will be forthcoming. Elgin Wayne Smith “Smitty” passed away peacefully in his home surrounded by family and friends Nov. 4, 2018 in Susanville, California at the age of 78. Elgin is survived by his wife, Margo Diane Smith; children, Elgina (Thomas) Canniff and Alexandra Smith; grandchildren, Zachary (Kaitlyn) Smith, Marrisa (Kyle) Berry, and Sierra Smith; great-grandchildren, Delainy, Marlee, Jackson, and Octavia. He is preceded in death by his parents, Harold and Lela Smith. Elgin was born on Sept. 21, 1940 in Nubieber, California to Harold and Lela Smith. 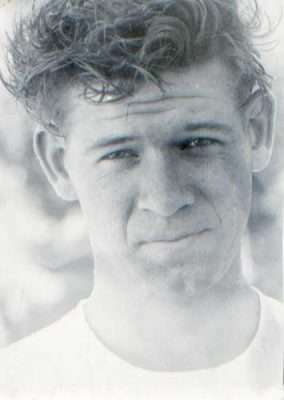 He graduated from Lassen High School in 1958 and then enlisted into the United States Army. He married Margo Diane Parsons, the love of his life, in 1965. After moving to Genesee, California, Elgin continued working for the Forest Service in various positions such as a smoke jumper and timber scaler. Over the next six years Elgin and Margo welcomed two daughters whom they love dearly. His children remember him as kind, gentle, patient and having a great sense of humor. Elgin was a generous individual who loved hunting and fishing and he was adamant about being a good provider. A graveside service is scheduled at 11 a.m. Dec. 8. At the Diamond Crest Cemetery with a luncheon to follow at The Church of Jesus Christ of Latter-Day Saints located at 905 Richmond Road. All are welcome to attend and celebrate Elgin’s life. The family would like to extend their gratitude to Connie and Neala for their loving care of Elgin as well as numerous friends and family.